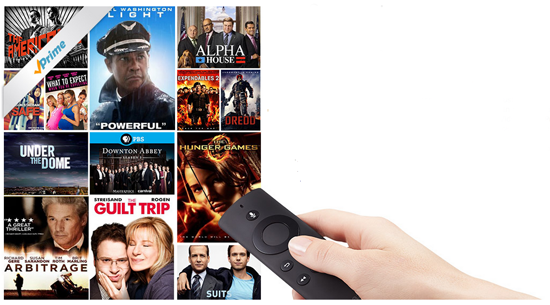 Amazon has finally released their home TV set-top device, the Fire TV. 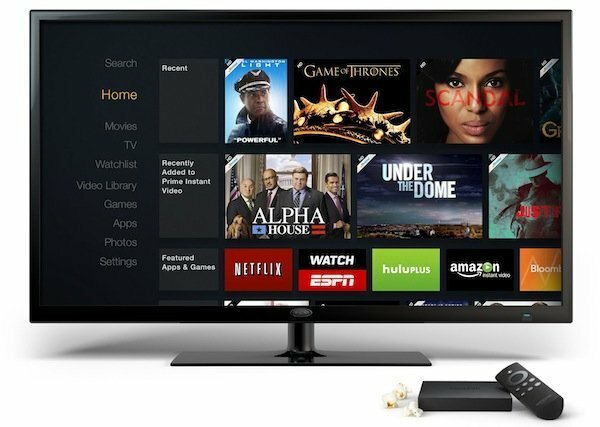 With the same price and a similar form factor to the Apple TV, Amazon has joined Roku in their fight for the living room. But how does their offering stack up, and should Apple be worried? Apple’s current offering uses the A5 processor, the same chip in the iPhone 4S, a single-core processor with 512MB RAM. Amazon’s entry is built around a quad-core chip with 2GB of RAM. Clearly, the age of the Apple TV is showing, so from a capabilities and performance perspective, Amazon has the clear edge here. 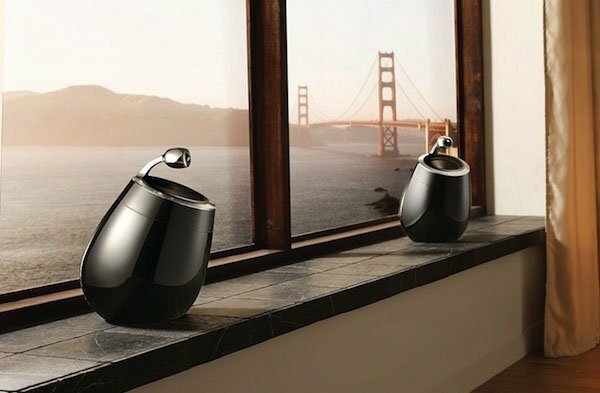 In practice, however, there are minimal expected differences is audio/video content performance, as both devices support 1080p and surround-sound audio. Amazon has raised the stakes a bit with their direct support of on-device games, where the additional CPU and GPU performance can be a major benefit. 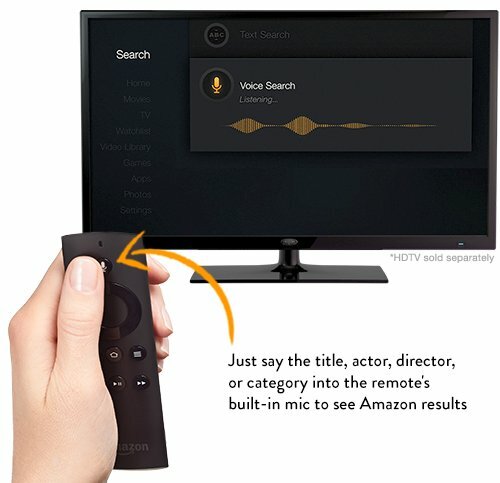 By holding a button on the remote, you can activate Fire TV’s voice search function. Rather than having a remote with a full keyboard, making text entry easy but everything else difficult. Apple’s approach has as many tradeoffs, with general usage easy for a child to do but text entry frustratingly difficult. By integrating voice search directly into the remote, the Amazon approach has another clear leg up on the competition. Home gaming is in a very interesting state right now. With Sony and Microsoft releasing their fourth-generation home gaming consoles, the high end has never had the level of performance and capability as is available today. Nintendo has fumbled with their Wii-U product, and is struggling to find their feet. And now Amazon has entered the fray by providing a set-top box for a price the fraction of the Sony and Microsoft offerings, with a dedicated gaming controller available for under $40. 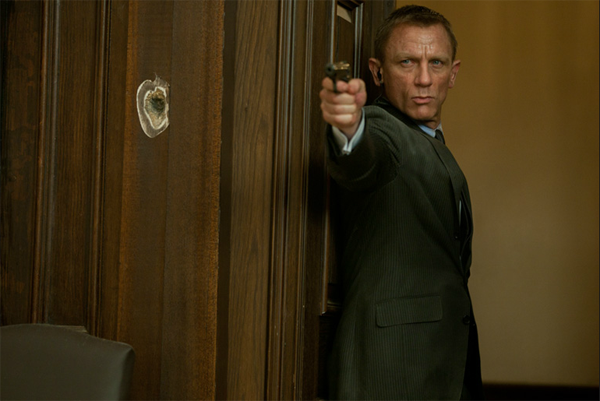 The hardware capabilities of the Fire TV, while significant for a streaming device, pale in comparison to the high-end offerings from MS and Sony. And with 8GB of storage on the Fire TV, it is unlikely that a truly immersive gaming experience is in the cards for this device. 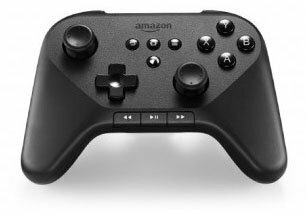 The ability to play Android games is the true unknown here, and could make the Fire TV a very compelling platform for low-end home gaming. Amazon is also creating their own games, starting with “Sev Zero,” from Amazon Game Studios. Again, Amazon has a lead over Apple with their current offerings. 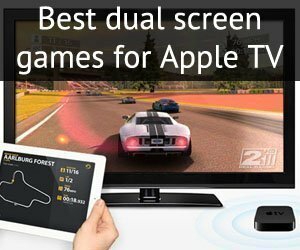 The ability to play games natively on the device, and to provide an App Store for the games, is not something that Apple has done yet (however, the Apple TV 4 is rumored to come with its own App Store). We don’t yet know how the games or platform will be received, but for the Android gaming community, this has the potential to open up a new market for their enjoyment. Here is what the whole device market comes down to at its core: content. There are three different models being used for content today. Roku has taken the most agnostic approach, by primarily relying on third-party content providers. While Roku does offer “M-Go” for direct movies, their primary focus is on providing as many different sources of content as possible, and they currently have over 1,000 “channels” available. Apple has, unsurprisingly, focused on iTunes as their primary content delivery mechanism. 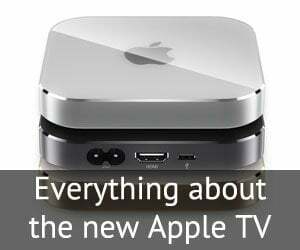 As more and more content types moved to the cloud, the Apple TV became a more capable device, allowing any past purchases of movies, TV shows, and music, to be available at any time without requiring a local computer or copy of iTunes running. Apple has been slowly adding support for additional “channels,” but are nowhere near the 1,000 mark of Roku. 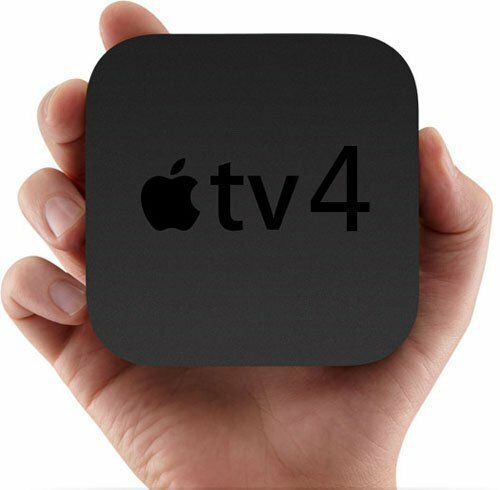 Apple has also opened up the Apple TV to some competitors in the content space, allowing Netflix and Hulu on the device, but Amazon Prime Instant Video is still absent. It is unknown if the absence of Amazon Prime is due to Apple, Amazon, or neither pushing for support. Amazon is clearly positioning the Fire TV as an Amazon-service preferred device. While their current website and promotional materials list “Netflix” before “Prime Instant Video” in their list of content providers, this is likely due to the current marketshare of Netflix rather than an indication of Amazon’s future plans. Both Netflix and Amazon have been heavily fighting for both exclusive content deals and original content over the past several months. With the success of Netflix’s “Hose of Cards” and “Orange is the New Black”, they have matured from a replacement for syndicated reruns to a potential legitimate competitor for HBO or Showtime. Likewise, Amazon’s recent success with “Alpha House” has encouraged them to make further investments in original content. By owning the end-user device responsible for delivering their new content, Amazon has something that has never existed before in the video entertainment space – a true end-to-end experience. In the past, the content providers were reliant on the cable company for the set-top box, and Netflix has relied on third-party devices for the TV interface as well. This certainly has advantages for Amazon over Netflix. The danger here is one of a new generation of incompatible formats and choices that hinder the end-user experience rather than foster it. Apple’s “walled garden” approach to content and applications means that long-term iTunes customers need to purchase their hardware to access their content, a story that has been consistent from the original iPod. Apple has been opening up access since the introduction of the iPhone SDK in February of 2008, allowing competing content providers to support Apple devices, but never allowing competing devices to access Apple/iTunes content. Amazon has provide Prime streaming support on Roku, and will obviously provide it on Fire TV, but they have not made it available (or not been allowed to make it available) on the Apple TV. This only hurts the customer, and hopefully will be a short-term problem. With the technology available today, there is no reason the TV devices from every vendor shouldn’t support the top streaming services. Apple certainly has a vested interest in not opening up their content libraries to other hardware providers, but hopefully Apple and Amazon can come to an agreement that is in the best interest of their mutual customers regarding streaming services. Amazon has raised the bar in several areas, and are showing some real advancement in terms of the “living room experience.” Apple TV is sorely overdue for an update, and it will be interesting to see Apple’s response.